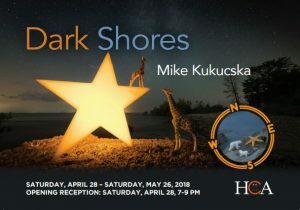 Mike is a Hamilton photographer whose youthful interest in the night sky was rekindled several years ago after stumbling on remarkable Milky Way images taken with ordinary digital cameras. Mike was drawn to capturing the stars in quiet, dark locations away from the city through the magic of long-exposure photography. When cloudy skies intervened, he turned to Hamilton’s industrial and urban landscapes. Recently, he’s returned to the same youthful spirit that brought him to night photography for an inspired series of dramatic and playful adventures along our nearby lakeshores. Mike’s work has appeared in solo and group shows, and on the cover of the novel “The Capacity for Infinite Happiness”. He’s been featured in the Hamilton Spectator, Urbanicity, and Hamilton Magazine. Most recently, his images have been chosen for the cover of the City of Hamilton’s Amazon bid package and new marketing campaign “Unstoppable Hamilton”, and the cover of Hamilton Magazine’s 40th Anniversary issue.